A Yeovil circuit of the Wesleyan Methodists was established in 1862, followed by the building of a church in Vicarage Street in 1868-70. However, a breakaway sect founded the Primitive Methodists in New Town and they had a preaching room in Silver Street, opposite the Pall Inn. They built the chapel in South Street in 1865 for between £600 and £900 and it was described as a "neat and well-built structure of red brick with mounted Ham hill stone". Whitby's 'Description of the Town of Yeovil' in 1880 noted "In South Street is the Primitive Methodist Chapel, a commodious building put up in 1865." The building could accommodate a congregation of 300. 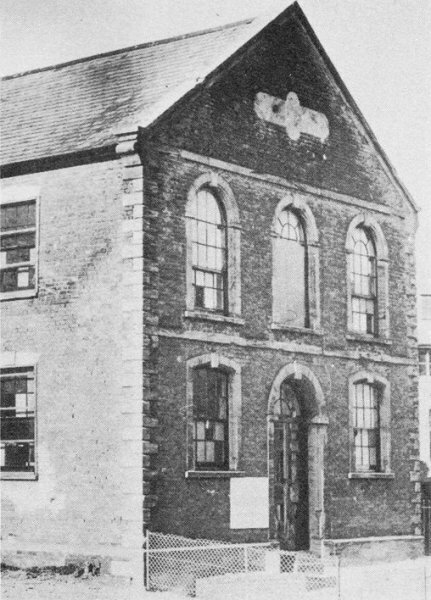 In 1882 Whitby's Yeovil Almanack Advertiser reported "Primitive Methodist Chapel (South Street). Rev W Kitchen, Peter Street, Minister. Services: Sundays 10:30am, 6:30pm; Mondays and Wednesdays 7:00pm." Whitby's 1903 edition noted the Rev JH Harradine, Burton House, Sherborne Road as Minister and in the 1907 edition the Rev GH Geeson, Burton House, Sherborne Road was Minister. 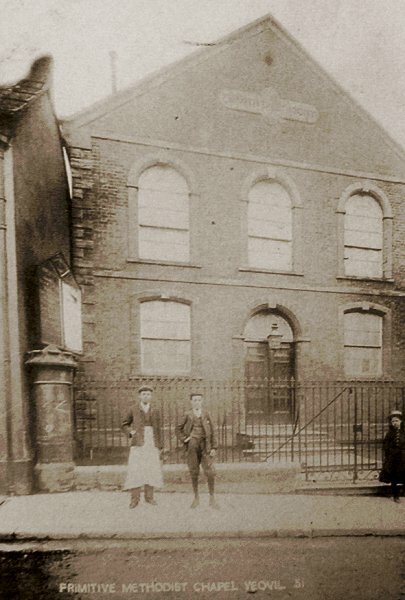 The Primitive Methodists reunited with the Wesleyans in 1932 and this same year the chapel ceased to be used as a place of worship and became the glove factory of Ivelnap Gloves Ltd. 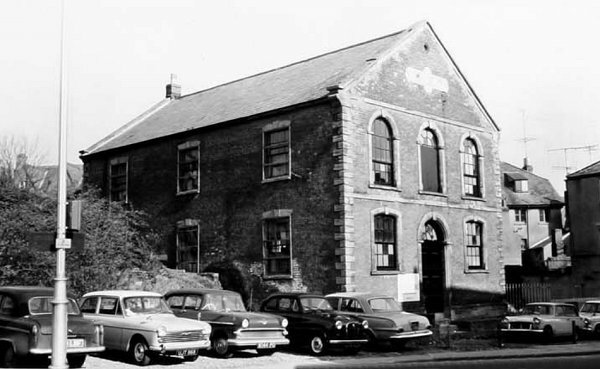 The building lay empty for many years after Ivelnap ceased trading and in 1996 planning permission was granted for the conversion of the building into "an Auction Centre and the erection of an extension to form two shop units and an Art Centre". 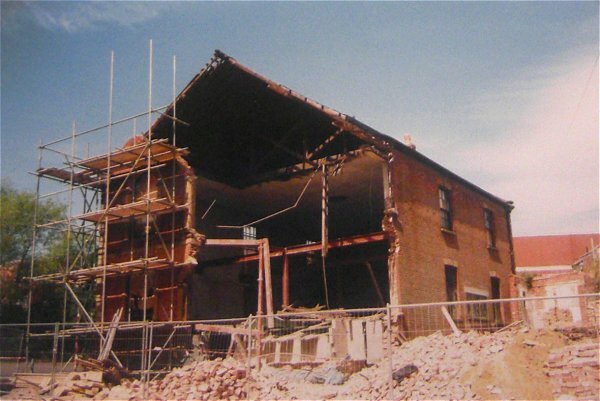 Unfortunately as the alterations began part of the building collapsed as reported in the Western Gazette on 6 June 1996 as follows "Disaster was narrowly averted when part of a building in South Street, Yeovil, collapsed on Friday afternoon. Two contractors on the site noticed the building beginning to move and gave out a warning. 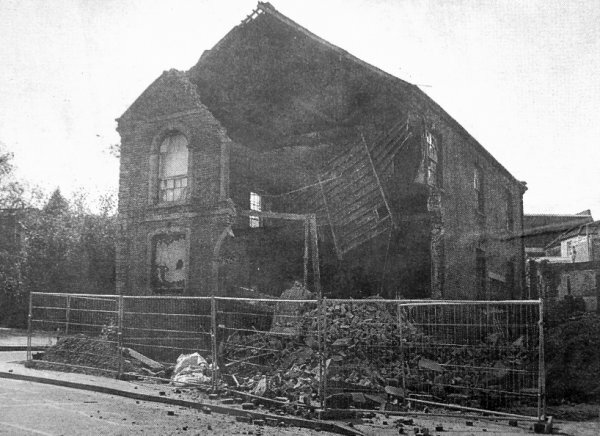 Within five minutes half the building had collapsed. Police closed off the road and back-up from the fire brigade and South Somerset District Council were called to ensure safety." 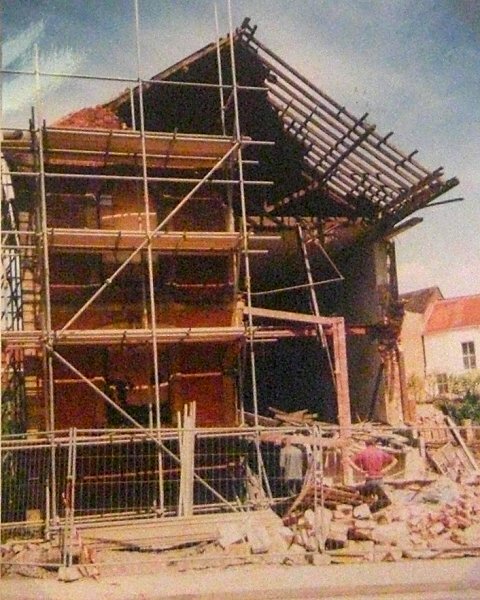 Unfortunately the building was too unstable for the alteration works to continue and it was soon afterwards completely demolished. 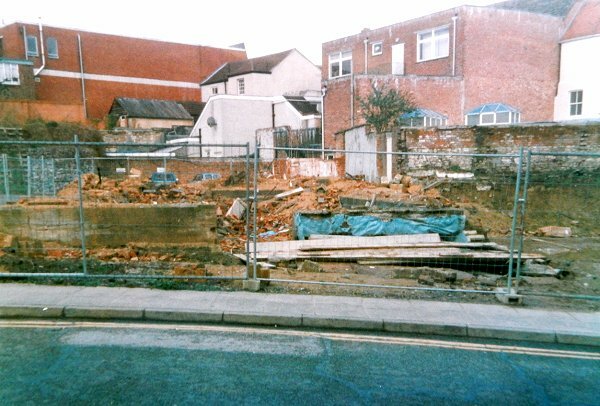 The site is now a private car park. This postcard dates to around 1910 and is of the Primitive Methodist Chapel in South Street, seen in the previous photograph. A later photograph of the of the Primitive Methodist Chapel in South Street - note that the building to the left in the previous photograph has been demolished and the nice railings in front of the chapel have gone which probably dates this photograph to after the Second World War when the railings would have been requisitioned for the war effort. 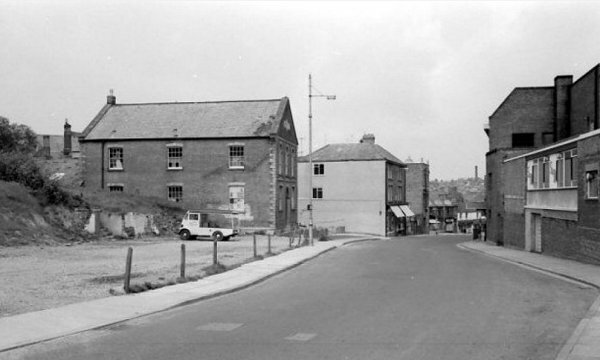 Looking east with the Methodist church, somewhat hastily demolished I seem to remember, on the left and the box factory on the right with the Gaumont cinema behind it. In the far distance is the Triangle where South Street terminates. Photographed in the 1960s. The chapel photographed in 1971. 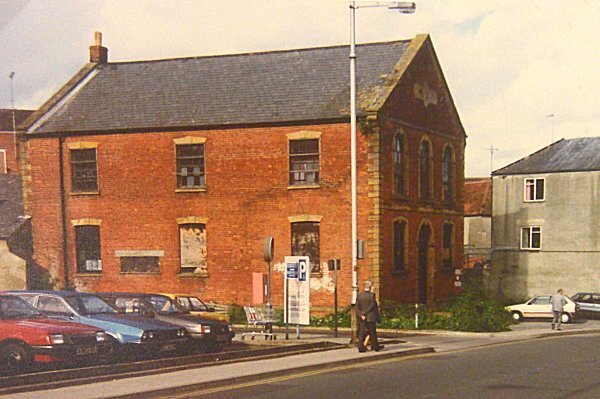 This photograph probably dates to the 1980s by which time Ivelnap Ltd had ceased trading and the building was lying empty. 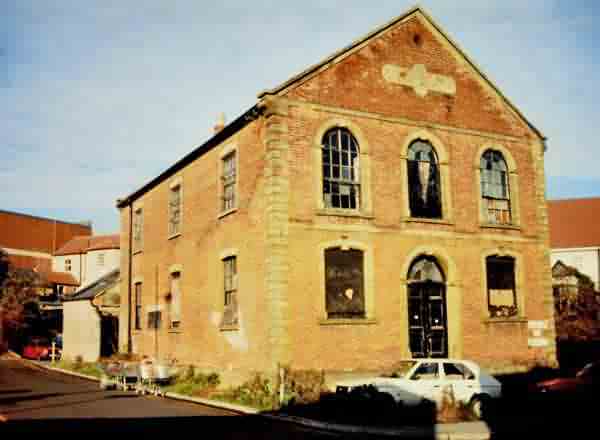 The Primitive Methodist Chapel photographed in 1988. Oops! The collapse of the front during 1996. Taken from a local newspaper. 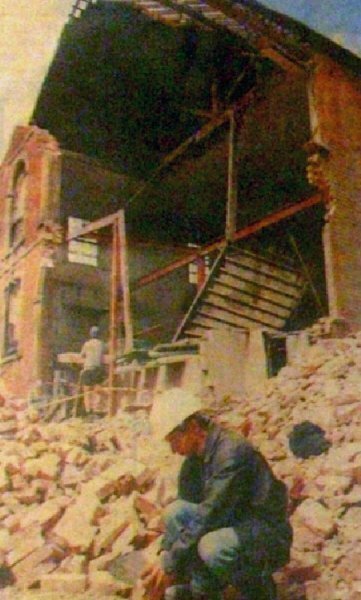 The front of the building collapsed when alteration works to convert the building into an auction centre during 1996. 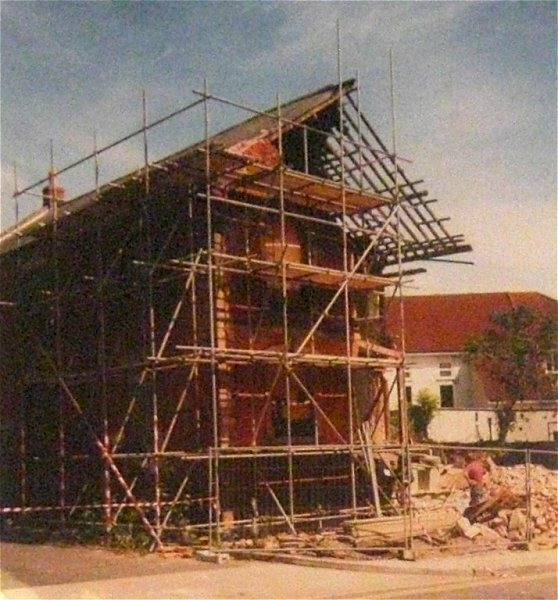 The following series of photographs were taken after the building had been made secure and scaffolded. 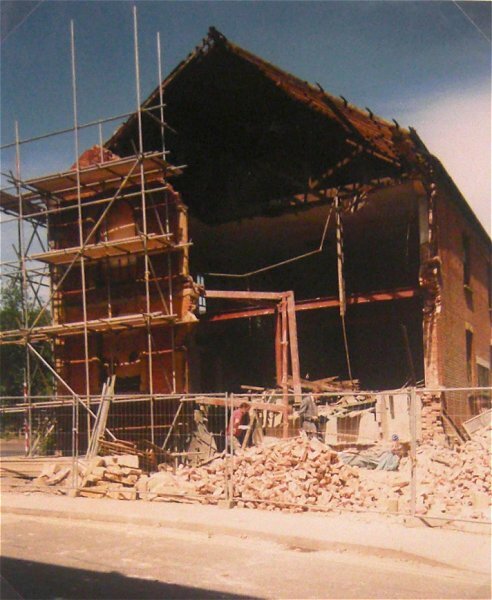 Unfortunately the building was too unstable for the alteration works to continue and it was soon afterwards completely demolished. The site is now a private car park. .... and there it was - gone! 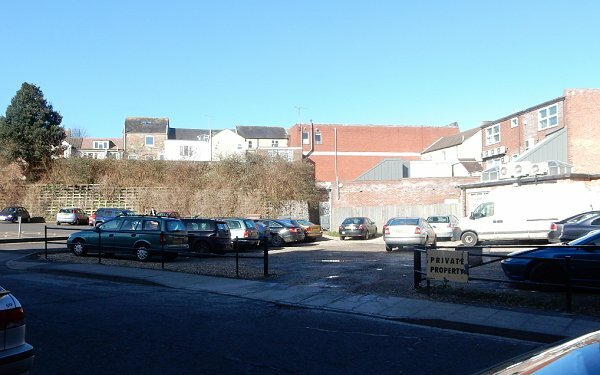 The site of the Primitive Methodist Chapel photographed in 2015 - now a tatty private car park next to the council's not-much-smarter car park at far left both substantially contributing to the down-and-out look of this part of Yeovil. If only both car parks used about a meter-wide strip at the rear for some decent screen planting it would look far more attractive. However this might slightly reduce the number of parking spaces and since car parking fees and fines are the council's largest source of income, the chances of that happening are pretty remote. Rant over.